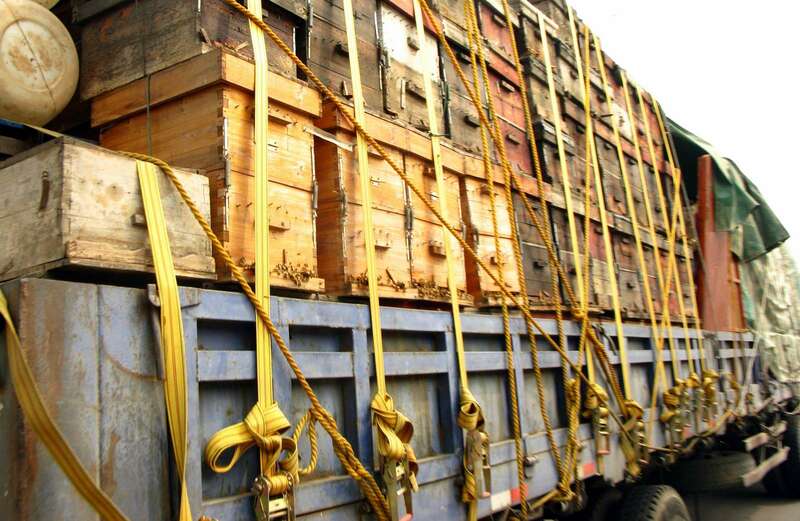 As you may have noticed, last week the media was once again filled with yet another round of collapsing honeybee stories, this time the coverage being about the loss of 42.1 percent of hives in the US over the past year, the second largest die-off on record. As has been the recurring case though, thanks in part to beekeepers making splits with their hives (creating two hives out of one, in short), hive numbers have actually increased this year in comparison to last year's. This doesn't however mean that the honeybees' health is improving, a quote in the Washington Post giving a bit of the backstory. What has emerged is a complex set of pressures on managed and wild bee populations that includes disease, a parasite known as the varroa mite, pesticides, extreme weather and poor nutrition tied to a loss of forage plants. Well, yes and no. While Colony Collapse Disorder (CCD) is fortunately not being singled out this time as the sensationalist bogeyman, the beating around the bush still goes on, effectively clouding over the overarching issue (their poor nutrition is tied to more than just a loss of forage plants, while the "disease" they must deal with is more than just another checkbox on a list). In short, the core of the problem afflicting the majority of honeybees is that they are confined to living out their lives amongst fields of monocultures in the industrial agricultural system. For starters, with the creation of monocultures encompassing hundreds and sometimes thousands of acres, farms are no longer able to provide the living environment necessary to maintain honeybee colonies, and in many cases even wild pollinators. Although, say, a large blueberry "farm" may provide an immense supply of flowers for nectar and pollen, being a monoculture means that there is only one plant, and as this sole plant may only flower for a few weeks or even a few days of the year, this doesn't provide enough time for the honeybees to collect their needed supplies for the barren winter months. Since these monoculture fields are essentially floral deserts for most of the year, to a large extent various native insects – wild pollinators – are similarly unable to exist amongst the dearth of flowers. In fact, there are now parts of China where bees have already gone extinct, requiring apple orchards to employ between twenty and twenty-five people to pollinate a hundred trees, something wild pollinators or a couple of hives worth of bees would normally be able to do. 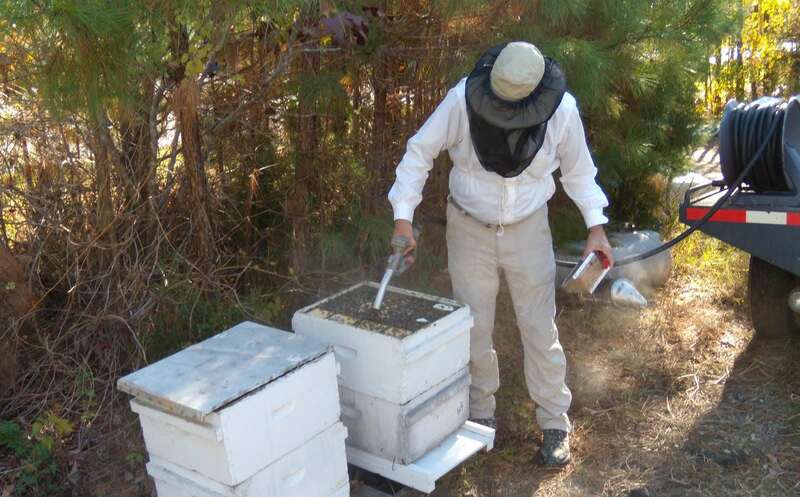 If beekeepers are going to meet the growing demand for pollination services, researchers need to find better answers to the host of stresses that lead to both winter and summer colony losses. But here lies a large part of the problem. Owing to its status of quasi domestication (I say "quasi" since honeybees aren't really domesticated but rather retain their wildness while inhabiting artificial domains we provide for them), the honeybee has become an ideal pollinator to be shifted around in order to cater to the whims of monocultures. In fact, large beekeepers now make most of their money from "pollination services" rather than from sales of honey or other bee products. In an area encompassing roughly 17,000 acres in the Fraser Valley of British Columbia, approximately one-fifth of the world's blueberries are grown requiring almost 70,000 hives for pollination, coming from all over B.C. and Alberta. That however pales in comparison to the massive mono-forest of roughly 600,000 acres in the central valley of California that grows about 82 percent of the world's almonds. 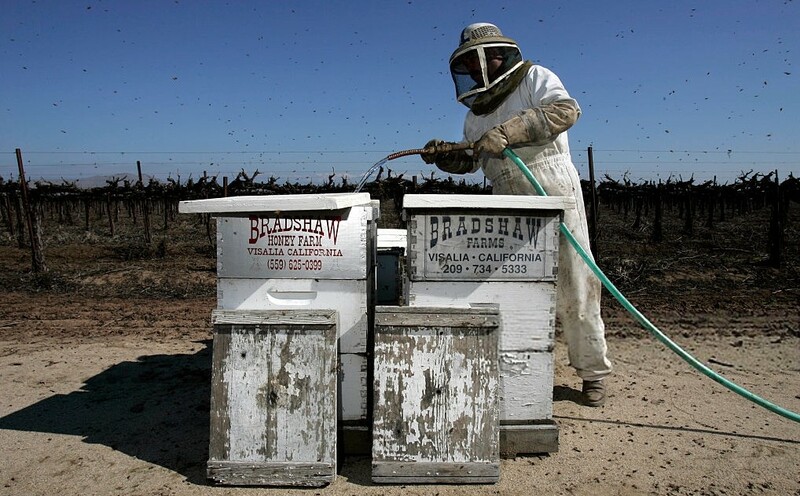 In three weeks of February every year, more than 1 million hives (of 2.74 million in the US, down from a peak of about 6 million in the 1950s) make their way from as far away as New England and thirty-eight states in total in order to pollinate the crop. Added to by hives flown in from Australia on 747 jumbo jets to supplement struggling hive numbers, what results is a massive bee slum where all sorts of microbes and parasites from around the country get passed around, the bees none the better for it all due to their already compromised immune systems. Why might they be compromised? a decline in plant diversity could very well be causing a... decline in bee populations. Honeybees that pollinate on a wider variety of plants have a more robust immune system than bees which pollinate on monocrops, even when the monocrops had higher protein content. One result of all this is that honeybees in the industrial system are routinely treated with antibiotics to combat bacterial infections, to the extent that many bees carry antibiotic resistant bacteria in their guts. As if that weren't all enough, the honeybees' two sources of food, nectar (which they transform into honey for storage purposes, and which provides them with minerals, vitamins and enzymes) and pollen (which is their excellent source of protein and other nutrients), are just as much a victim of the monoculture mind-set. Because honey and pollen can command a pretty penny on the market, many beekeepers – particularly the larger ones – actually remove all the honeybees' stores of honey and pollen. Since this leaves the bees with nothing to survive on over the winter, their pollen is then replaced with soy patties, while their honey is swapped for a sugar syrup if not high fructose corn syrup. 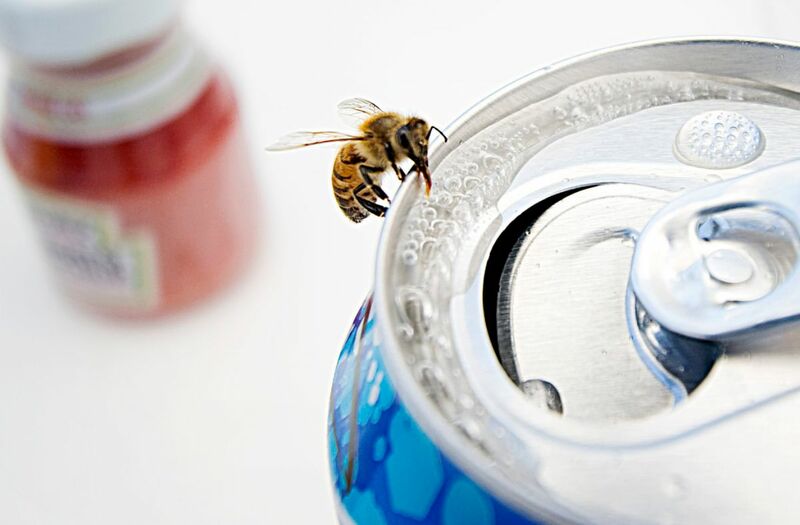 Having had their wholesome & nutrient-rich (albeit monoculture-sourced) honey and pollen supplemented or even taken away from them, the modern honeybee is often forced to live off a diet that not only puts stress on its digestive systems and compromises its immune systems, but whose equivalency for us humans would be called junk food. On top of all that, not only then must honeybees cope and live amongst the insecticides necessary for monoculture "farms" and golf courses and suburban lawns and such (be they neonicotinoids or not), but because of their poor health, strips of insecticides are also commonly placed inside hives to kill off Varroa mites and other plagues, which honeybees are now too unhealthy to ward off. In case you need me to spell it out, insecticides kill insects, and yes, honeybees are in fact insects themselves. So while there is no doubt that CCD and other sensationalist news stories have created the awareness that "like, gee whiz, bees are dying," it would certainly be fair to ponder whether they have done all that much to inform us of the greater problem honeybees – and wild pollinators – must attempt to live amongst. But truth be told, they largely haven't, for what has instead resulted is an audience that has deferred to a phalanx of "experts," who in true superhero style are expected to save the day with an array of techno fixes that will vanquish CCD and other honeybee problems to the dustbin of history. Until local agriculture replaces global agriculture, there will always be another parasite, another virus, another mysterious collapse. Note: For those of you who read my post from last month on the Flow™ hive, Don't Go With the Flow, Go With the Wax, a little bit of an update. Turns out that the Flow™ hive frames are created via 3D printing, which to me is just a bit too techno weird (and so in the grand scheme of things, utterly unsustainable). Otherwise, it seems that there fortunately isn't going to be a bounty on my head when I return to Australia after all, as not only did the Flow™ hive end up pulling in more than $12 million via its Indiegogo campaign, but when the Flow™ hive's site began taking orders for the first time the other day, it had such an overwhelming response that its website crashed. Woe be the honeybee.